It’s organizing time! This can either be the easiest or hardest step, depending on the state of you closet. 1. 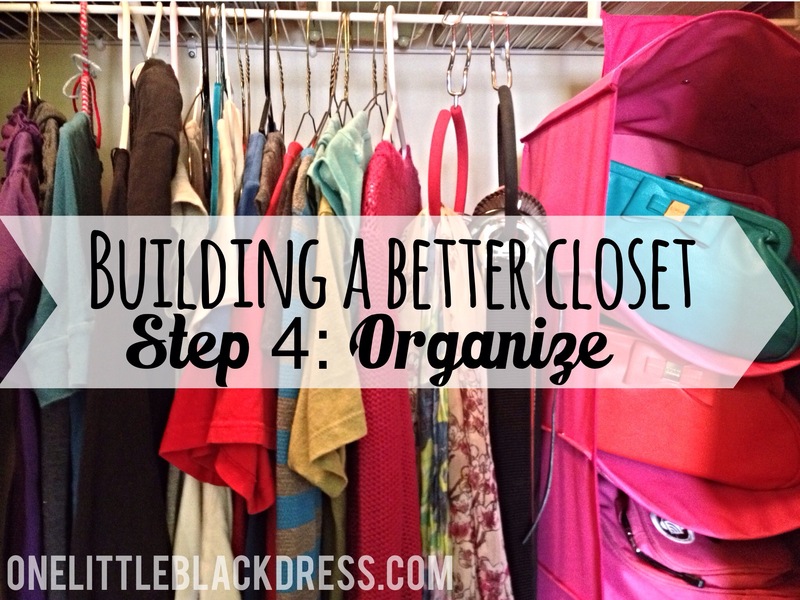 Remove all of the clothes from your closet. 2. Designate areas in your closet for each type of clothing (casual, work, church, etc.) For me, one side of my closet is dressy clothes and the other side is casual clothes. 3. Separate the clothes by tops, pants, skirts, etc. and hang accordingly. 4. 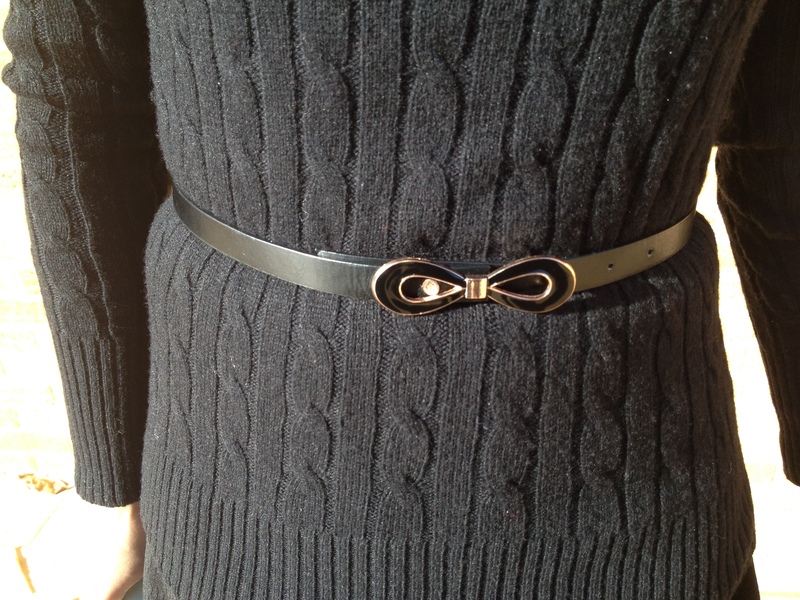 Group accessories such as belts, scarves, purses, and shoes together. This may take a while, so don’t be discouraged. If you can’t manage it all at once, break it into smaller tasks such has casual clothes today, dressy clothes tomorrow, shoes after that, etc. 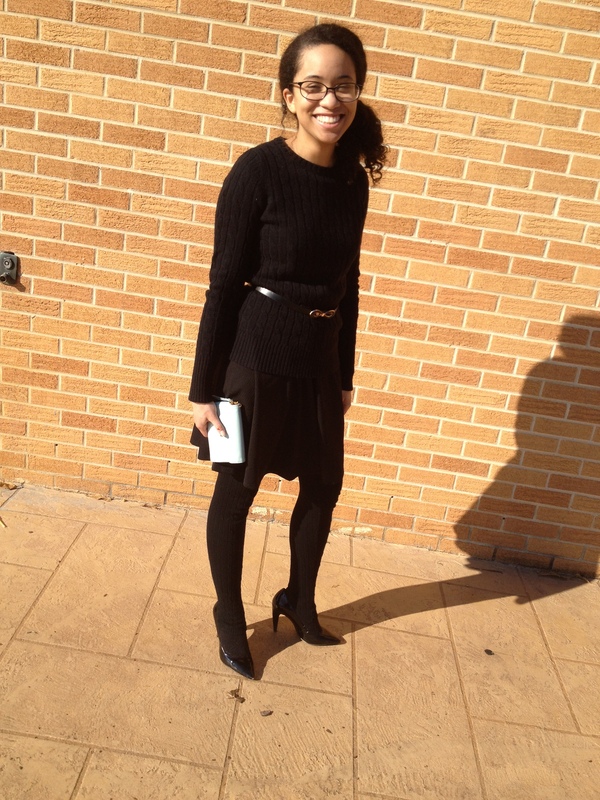 It was extremely cold this Sabbath. So cold that extreme measures and layers had to be taken to ensure my warmth. I had a totally different outfit in mind that morning, but once I found out what the temperature was (28 degrees Fahrenheit when I woke up, 36 when these photos were taken) I changed everything and started over. I actually believe in comfort over fashion, and I believe you can have both simultaneously. Plus, I like keeping all of my extremities. Let me explain just how cold it was. It was so cold, that I went through all of my tights and decided that none of them were warm enough. 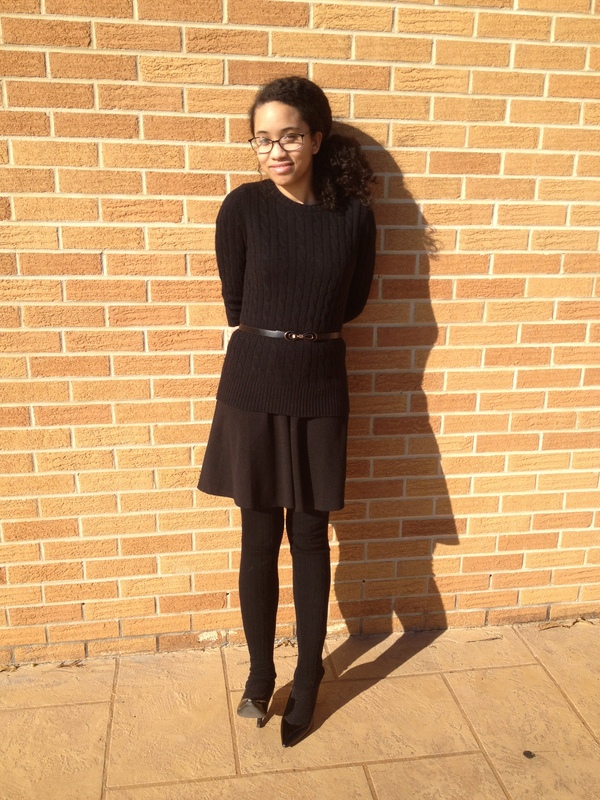 I actually wore a pair of leggings with my dress and slid a pair of black socks underneath to make them look like tights. Nobody noticed. And if they did, I wouldn’t care. 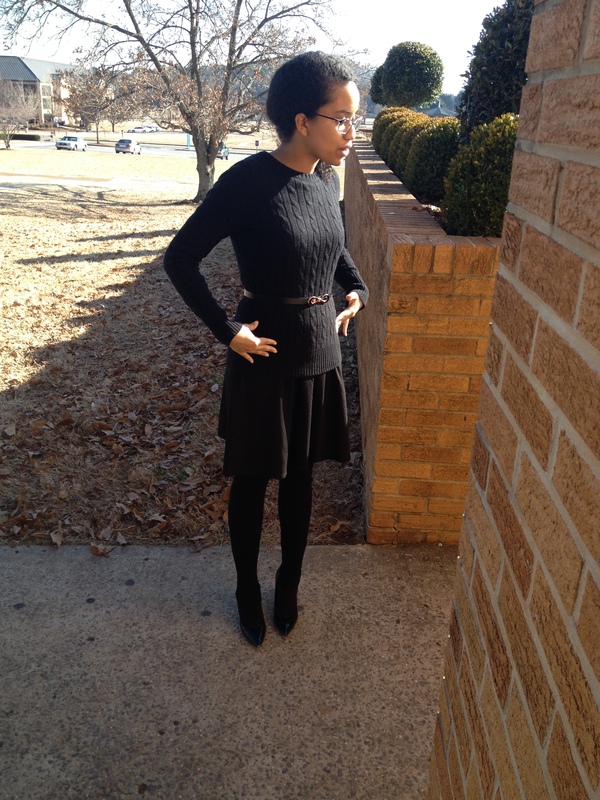 I layered this warm cabled sweater over my little black dress to keep me warm and toasty. Would you believe that I got this sweater for just $2? Apparently even though temperatures are hovering around the low 30s, stores are flushing out their winter items right now to make room for their spring collections. Silly stores and their schedules. 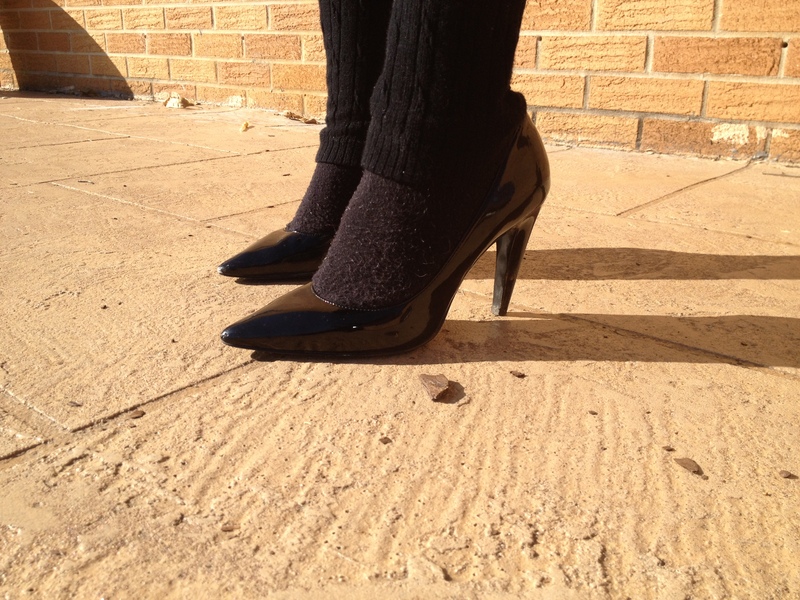 What’s your best tip for staying warm without sacrificing fashion? Pleeeeeease leave me a comment. I love comments 🙂 Just click that little comment bubble next to the post title. You don’t even need to enter your email address. Just send me a quick comment, and I’ll approve it to be published 🙂 Stay toasty, friends. 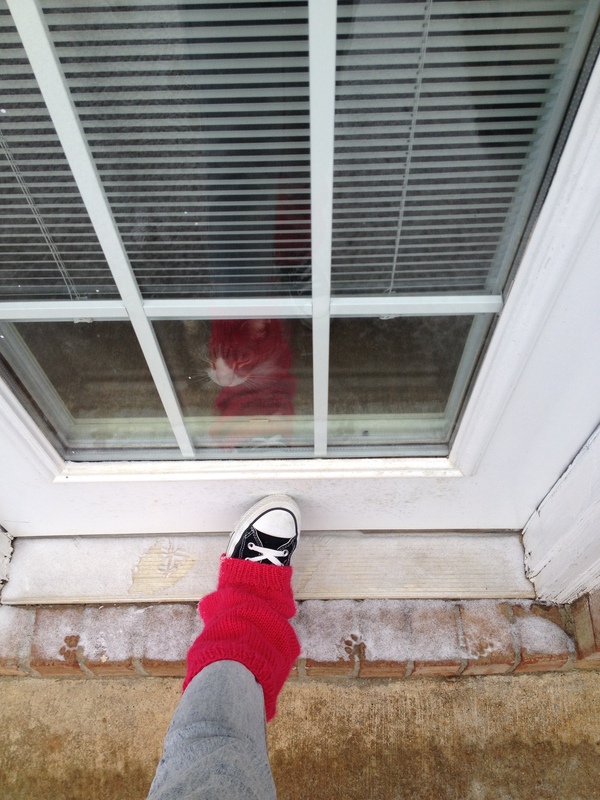 Leg warmers = The 80s. Everyone knows this. BUT with temperatures this winter hitting a record low, a pair of leggings can help to keep your little ankles nice and warm while adding a unique pop of color to your outfit. 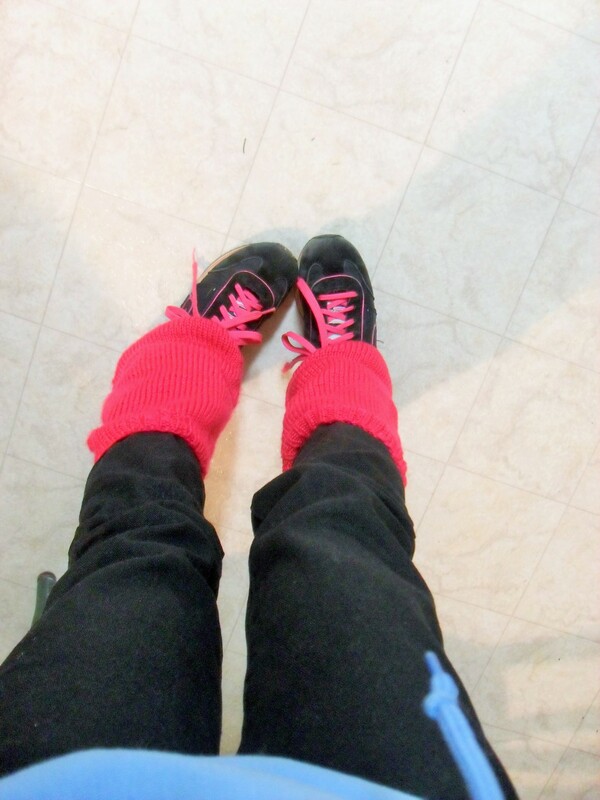 This photo is from back in 2010 when I first knit the leg warmers. Kitty is quite uninterested with today’s fashion choice. 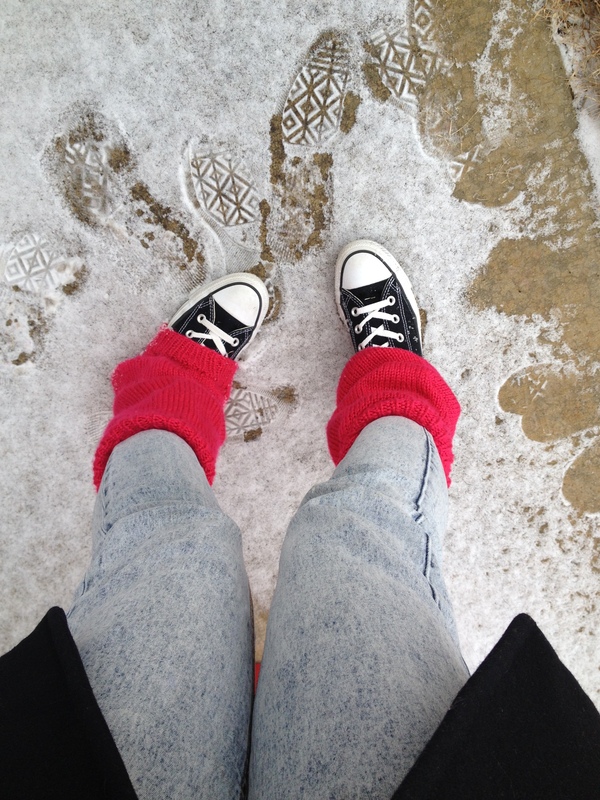 Go ahead and rock a pair of leg warmers. I dare you.